Nose surgery, also known as rhinoplasty, is a general term for a group of procedures that are used to improve the function of the nose or the shape. Functional issues include blocked nasal passages, deformities from fractures, and defects present since birth. Aesthetic issues include such things as dorsal humps, asymmetry, overall shape, nostril size, and the shape of the tip. Depending on your concerns, you may need correction of functional issues, aesthetic issues, or both. The goal of a rhinoplasty is to create changes which blend harmoniously with the rest of your face. Nose surgery is increasingly becoming one of the top cosmetic procedures performed in the United States. Since the nose continues to develop until the age of 16 to 18 years old, surgeons typically recommend waiting until this age to correct any issues. 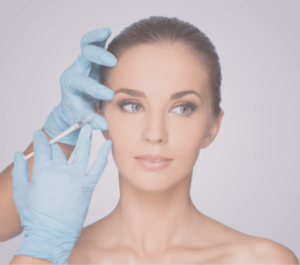 As with any surgery, nose surgery has inherent risks associated with it, and it is therefore important for the patient to fully understand the risks and benefits of the procedure. Nicotine in any form and alcohol can greatly impact your ability to heal from nose surgery; intake of these is strongly discouraged during the perioperative period. For example, nicotine can impair oxygen delivery to the skin and compromise its healing. Primarily, there are two types of rhinoplasty – open and closed. Closed rhinoplasty is a procedure whereby the surgeon makes small internal incisions to correct the desired structures. Whereas, an open rhinoplasty is considered a more major surgery because it involves the surgeon making an incision which starts at the central portion of the nose (columella) and continues to the inside of the nose. An open rhinoplasty allows a surgeon to expose the entire structures of the nose and reshape them dramatically. Regardless of which type of procedure is performed, the surgeon may address issues such as removal and reshaping of excess skin, bone, and/or cartilage. Implants may also be used to aide in the reshaping. The procedure may take 2 to 4 hours, in which the surgeon will place incisions around your nose according to the alterations you would like to make. In most cases, an external and/or internal splints may be applied to help stabilize the nose during recovery. As with most surgeries, there are several stages of healing. Swelling and bruising are common within the first couple of weeks after surgery. Some minor bleeding may occur. If the surgeon places internal splints or packing, you will have difficulty breathing from your nose until these are removed approximately 1 week after surgery. Depending on the type of rhinoplasty performed, your plastic surgeon may also stress the importance of pressure reduction on the structures of the nose during the first 4 to 6 weeks after surgery. For example, you may be encouraged to sneeze out your mouth instead of your nose. And, you may be asked to avoid blowing your nose during this period. It is important to understand that healing varies depending on the patient and that full healing takes a year. A rhinoplasty may also be performed in conjunction with another facial procedure, such as chin augmentation to help improve the balance of your face. 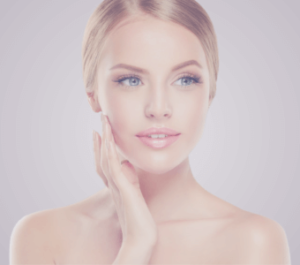 For more information on Nose Surgery (Rhinoplasty), or to schedule a consultation, call Peak Rejuvenation at (970) 259-5990 or Request a Consultation.